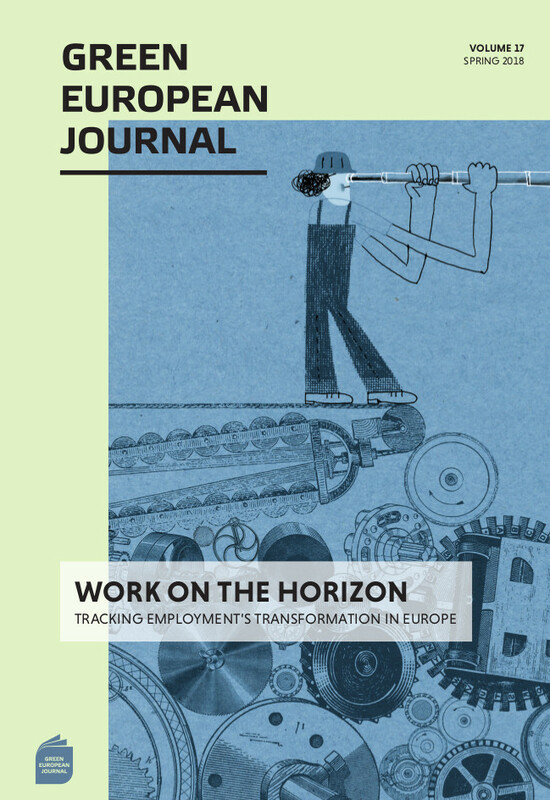 ‘Work on the Horizon’ explores the centrality of work and its changing nature in the face of social and technological developments, connecting experiences from around Europe to explore what are, and what could be, Green and forward-looking policies, political ideas, and proposals. By the steady march of demographic change as much as by the viral advance of technology, the world of work and the many structures we built around it are being twisted out of shape. The threat of insecurity and redundancy, and the dark politics that come with it, contrast with the fresh possibilities that new ways of working open up, for the individual as for society as a whole. Experts on automation disagree what to expect and when, but as work becomes scarcer, it is getting more insecure. Yet with this uncertain future, reduced working hours, enhanced autonomy, and a shift away from a society organised around work are part of the conversation again across Europe. Greens and progressives will need to be forward-thinking and to work closely with social partners on education, social protection, and industrial policy to steer society towards a different, more sustainable, way of living. Europe must be at the centre of this debate, its continued prosperity in a wider world is at stake. This edition addresses the future of work as the key political question of our time. The Green European Journal contends that, in answering it, we can make valuable steps forward towards living more secure, healthy, and meaningful lives. Alain Supiot makes an ambitious and much-needed proposal for a labour law reform that would protect workers while creating autonomy in the organisation and design of work. A photo essay by Apolena Rychlíková and Saša Uhlová on the harsh, insecure, and unsafe reality of temp agency work in the Czech Republic. With work stressful, unsatisfying, and in short supply, Andy Beckett introduces ‘post-work’, the enticing prospect (or pipe dream) holding that work will soon be a thing of the past. Françoise Gollain draws on the work of André Gorz, a key thinker of political ecology, to reflect on the meaning of 'work' and its centrality in society.